Kumari means “ A virgin girl or ever living”. In Siddha this plant has been extensively used for its properties, of being a quencher of over pitta, high body heat, heat due to spiritual practices, detoxifier, kayakalpa and for problems arising due to mercury poisoning. The flesh like gel part of the plant is to be used and is very effective for internal as well as external applications. Siddha texts have describe its use in Kayakalpa formulations. It is bitter, cooling, purgative, alteratve, fattening, tonic, aphrodisiac, anthelminthic and alexiteric. It is useful in eye-disease, tumors, spleen enlargement, lever complaints, vomiting, bronchitis, skin diseases, biliousness, asthma, jaundice and ulcers. Its is very good for the acne treatment. Aloe Vera’s anti-inflammatory properties soothe and reduces swelling and redness surrounding the affected region making your acne less visible. The Aloe Vera then moisturizes the skin helping to maintain skins natural pH balance. Kumari juice is a gret natural aid to detox. 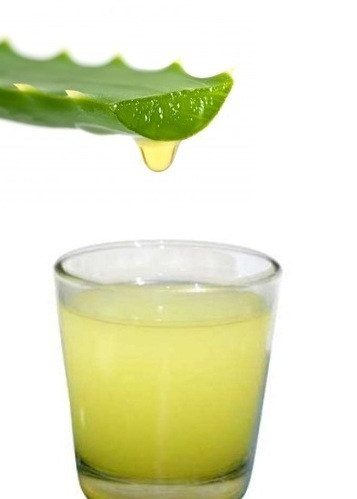 Drinking aloe vera juice provides a fantastically rich cocktail of vitamins, minerals and trace elements to help our bodies deal with these stresses and strains every day. Cleaning: The gel part is carefully excised out without any outer green part contaminating it. This gel is then washed seven times in water. The resulting gel is then used for external and internal applications. - The resultant oozing juice is an effective remedy for eye diseases. - It is a very effective coolant and hence leghyam and oil can be prepared with this is an excellent remedy to remove Pitta or Internal heat from the body. - Aloe gel is boiled to proper consistency with gingely oil and this oil is used for head bath to get good sleep. - Hair oil prepared with Aloe reduces ailments like headache and hair fall. - Gel can be directly applied on to burns to enhance healing.